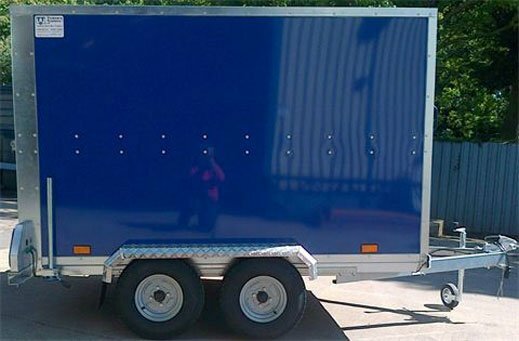 TWIN AXLE BOX TRAILER 7X5X6 SOLD! 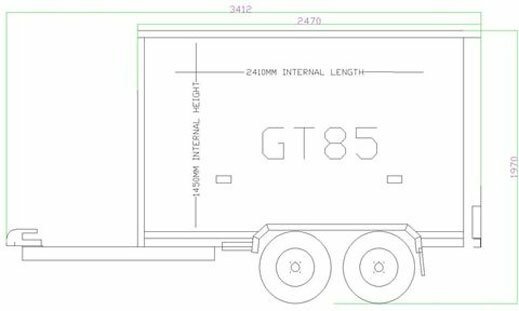 Brief Description: Twin Axle Box Trailer Just like the GP box trailers our twin axle range, the GT also has alot to offer. 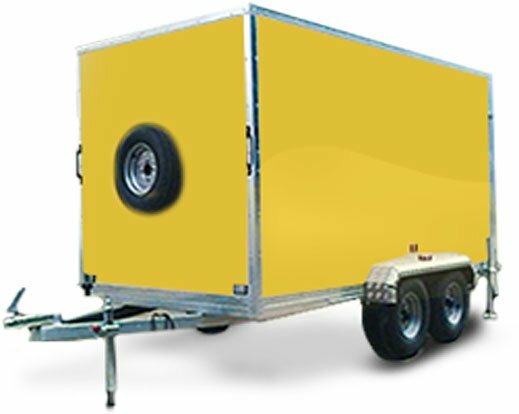 The GT is built as standard with the rear barn doors and the price includes rear prop stands, spare wheel, jockey wheel, external lights, grab handles and 4 tie rings. 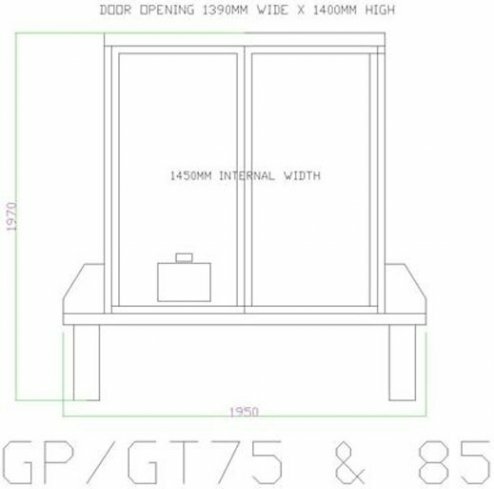 Colour options are available - please see within optional extras the colour choice we offer. The GT has a MGW of 750kgs unbraked. 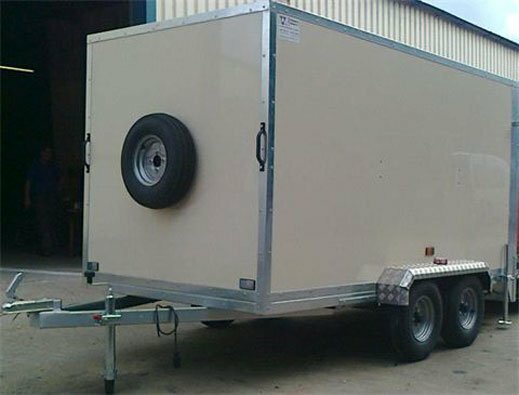 Supplied in white or black fitted with spare wheel, jockey wheel, rear prop stands, 4 tie rings, handles & rear doors. 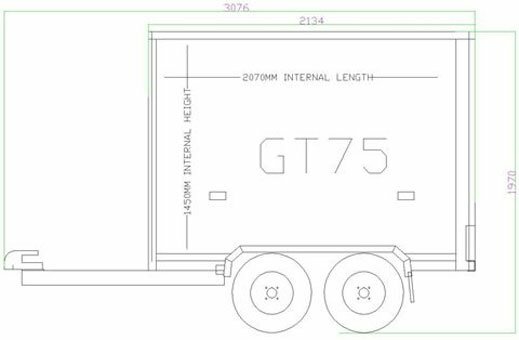 GT box trailers are built with metal mudguards GT75 7 x 5 x 6 This twin axel trailer also comes in, GT75 7 x 5 x 5 ft, GT85 8 x 5 x 5 ft, GT95 9 x 5 x 5 ft sizes or 6 ft.